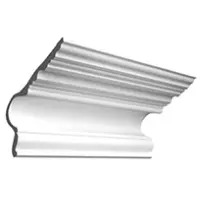 No matter what cornice size you need, we have a cornice style to suit. Plaster moldings provide a beautiful way to enhance any home economically and easily, and whilst many think of the decorative cornice as a specific ‘look’, nothing could be farther from the truth. Here at AllPlasta we offer a huge range of cornice styles, over 350 in total, all benefitting from our hand-made craftsmanship and attention to detail. From Victorian cornice to art deco cornice, we have the ornamental cornice styles you really want. Our range of decorative cornice means that you can match any existing moldings in your home, or create a new look completely, whatever your décor. We are sure one of our cornice styles will compliment it. 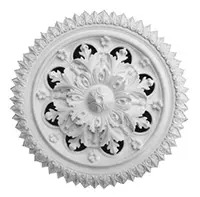 There is nothing better to finish off your room than with our beautiful plaster moldings. With our huge range of cornice sizes and styles available you can be sure that your finishing touch is as perfectly chosen as the rest of your décor. Plaster moldings are very long-lasting, with many examples still in situ after several hundred years. Still looking as good as they ever did. They are easy to maintain and easy to fit. 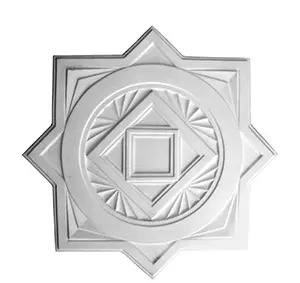 Whether it is an Art Deco cornice or Victorian cornice or any other of our 350+ cornice designs, you still get the same handcrafted quality and high level of customer service that makes AllPlasta the market leader and cornice supplier for your plaster cornices and mouldings. A question often asked about an ornamental cornice is the fitting. Most people think this is a stumbling block for their choice of decoration. However, this needn’t be the case. With a few tools and a little patience you can easily install your own decorative cornice. Another consideration when looking at purchasing your cornice style is how big it is, as some larger moldings can overpower some types of décor. For this reason AllPlasta provide our designs in a variety of cornice sizes to ensure the best compatibility with your rooms and your designs. Cornices and other plaster moldings can be painted to complement or contrast your current color scheme, and the combination of the literally hundreds of decorative styles available along with the ability to put any color you can think of on to them. This means that every installation is unique and your cornice will reflect your design ideas and your personality. When it comes to cornice styles the Art Deco cornice range has seen a rapid growth in popularity, with many variations on these decorative cornice available. They blend well with modern design ideas. Our ever popular Victorian cornice range look particularly at home in the more traditional decorative designs that remain as popular today as they ever have been. Our range of over 350 handmade cornice styles are easily searchable by period and design influence and we are sure if you are looking for a decorative cornice you will find the perfect cornice style for you on our website.